Toddlers are cute, wobbly beings between the ages of 12 and 36 months; cute wobbly beings who can be sweet and funny one second, and then literally falling apart 10 seconds later. Natalie Nelson finds out how to negotiate your toddler’s feelings. It may surprise you to learn that by the time toddlers become toddlers, they’ve actually been experiencing feelings for a long time, even from birth, if not already in utero. The only difference now is that they are beginning to learn the labels that attach to these feelings. They’re beginning to recognise emotions more easily, but managing them and navigating through them is tricky: they’re little people with big feelings and very little self-regulation. It’s at this stage that moms and dads, and any other caregivers, play a significant role in helping toddlers to express themselves and move through these emotional ups and downs. This period in their lives is crucial because it will be the foundation for self-expression, self-regulation and successful social relationships. Why do toddlers need to identify their emotions? When to start talking to your toddlers about their feelings? So when would the best time be to talk to toddlers about feelings? Simply put, before they are even toddlers. Lotriet suggests that feelings should be part of everyday conversation right from birth or even while in Mom’s tum. This way it becomes a part of day-to-day activities and a way of life. Initially you would start off by describing your emotions and then gradually move on to identifying those that the little one is feeling, like: “I can see that you are sad and angry because you can’t play with the remote.” This way the child will gradually learn to identify and describe both his own emotions and those of others. 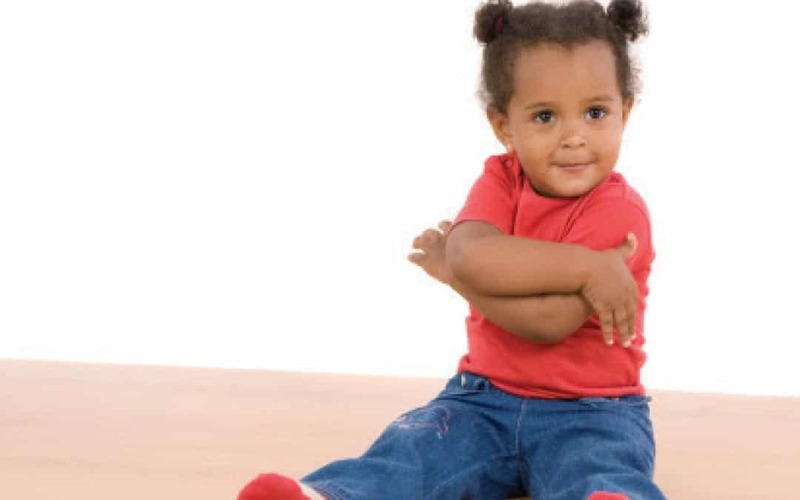 Initially toddlers will battle to name feelings and will tend towards naming actions. Gently guide them towards the emotion. For example, when you ask, “How do you think you feel?” your toddler may answer, “I feel like playing outside. ” This is not an emotion, but you could reflect back to him that he would like to play outside, and that would make him feel happy. Lotriet says toddlers learn best through play and everyday life experiences. The best way to teach them about emotions would be to have a conversation with them all the time, during bath routine, feeding, changing, etc. Second, story books are invaluable as teaching tools because they help to develop empathy as well as allowing the toddler to experience an emotional situation without actually being in it, kind of like a practice run. The characters in the stories will have emotions and these can be shared and discussed while reading the story, without them becoming threatening or scary. Even just paging through a magazine can open the door to talking about emotions. Every face is feeling something, so ask your toddler what they think the person is feeling. Another easy way to discuss emotions with your child these days is by referring to the emojis on your phone. Emotions are all around us, we just need to recognise these opportunities. When speaking about feelings and emotions, it is good to use a wide feelings vocabulary, and not just limit it to happy, sad, and angry. 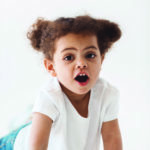 Helping your toddler discover new words, though they may not understand them initially, will help them to get to grips with the vast array of feelings out there. These may include words like: cheerful, brave, cranky, silly, bored, safe, relieved, uncomfortable, embarrassed, tender, shy, and friendly. One of the key things about helping your toddler to process and understand this emotional rollercoaster is that you need to provide a safe space for them to work through and practise getting the hang of it. This requires support, gentleness, guidance and understanding. Be aware that temper tantrums will come, especially when the feelings are overwhelming. Remember, a temper tantrum is not an act of defiance, it is a way of saying, “I am out of control and I need your help to calm down.” Basically, like a car that has overheated, it just needs the engine to be turned off and given time to cool down and for the damage to be assessed. Providing a safe space for your toddler will stand you in good stead in the long run as well. You will reinforce that they can come to you for guidance and reassurance, and this will stay with them right until their adult years. Teaching your toddler about feelings and emotions is such a valuable life skill that you can never start too early. So go out there with confidence, knowing that you are setting your child up with an emotionally intelligent foundation in preparation for the rest of their lives.